Sanyo plans to raise its annual output capacity for automotive lithium-ion batteries by 150 percent, by investing about 15 billion yen (about $180 million) in a key plant, the Nikkei reported. 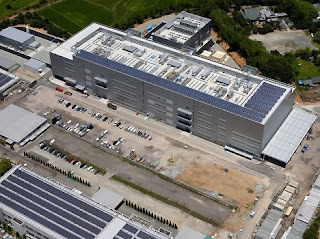 Sanyo's production lines at the Kasai plant in Hyogyo Prefecture, which will double to four in 2011, will produce batteries with capacities of 20 ampere-hours or higher for use in plug-in hybrids and electric vehicles, the daily said. The company produces lithium-ion batteries for hybrid vehicles made by the Volkswagen AG group, the business daily said. By boosting capacity, Sanyo aims to use the plant -- among the top in the world in production capacity for automotive lithium-ion batteries -- as its main supply base for three automakers, Nikkei said. Panasonic, which will turn Sanyo into a wholly owned unit next spring, is positioning automotive lithium-ion batteries as a pillar of its group operations, the daily said. At a combined share of 26 percent, Sanyo and Panasonic led the global market for cellular phone lithium-ion batteries in the July-September quarter, according to Tokyo firm Techno Systems Research Co, the Nikkei said. By expanding operations, the team is looking to be the global leader in the field of automotive lithium-ion batteries.